Our previous newsletter, as some of you have noticed (thank you if you were one of them) went out at the end of January. After that, all my good intentions of sending out a regular monthly newsletter this year flew out of the window in February, when a number of things all happened at around same time. Sometimes, there's just too much going on to be able to respond and deal with it all effectively. But before you ask, Bandit is still with us, as you can see. He's fifteen now - we celebrated his 10th 'Gotcha Day' in April. So Why Have We Been Missing? I was in the middle of writing the February newsletter when I heard about the sudden death of Jo McLaughlin, a delightful 'Meezer lady' whom you may even have known, or known of, yourself. Jo died of a pulmonary embolism which followed some time after a broken ankle - apparently a not uncommon occurrence - and sadly, the combined best efforts of an air ambulance and excellent medical attention were unable to save her. Jo's death was shocking, and devastating - she was still relatively young and her death was completely unexpected. I still find it difficult to believe. I started to write a tribute to at the time but found it hard to come up with the right words. I have now put some thoughts together which you can read further down this page. Shortly after that, my 93-year-old mother-in-law was taken into hospital where she remained for two months (she's out now, but frail); a storm damaged the roof of our living space, needing immediate attention; I was asked to take on some time-consuming work projects (now, thankfully, nearly finished); and this website itself needed work to keep it secure and operational. All this has eaten up an enormous amount of time, and I'm only now beginning to lift my head up and look around again. So this will be a fairly short newsletter to let you know that we're still here, and that I hope that things will get back to normal from the end of June. Or as normal as they can be, with a Siamese cat around! Bandit, I'm pleased to say, is still here with us. Kidney disease isn't an easy condition to manage, and he has become very thin. This often happens in cats with CKD but at the moment he's stable and seems to be doing quite well so we're taking things day by day. He has some good days and some bad days but still enjoys his food, cuddles, and snoozing in the sun. "The one disservice animals render us is that they don't live as long as we do"
The quote above is taken from Doreen Tovey's 'The New Boy', which describes the arrival of kitten Seeley into Doreen's world after the unexpected death of her beloved seal point, Solomon. The death of any of our animals is heartbreaking, but also somewhat expected - animals don't, as a rule, live as long as we do, so in our lives any number of pets may pass through our lives and our hearts. What isn't generally expected, though, is that we will die before our pets, which is what happened to Jo McLaughlin. I never met up with Jo in real life, although I'd been hoping to. We belonged to several of the same Siamese cat groups on Facebook, and occasionally exchanged comments and messages. 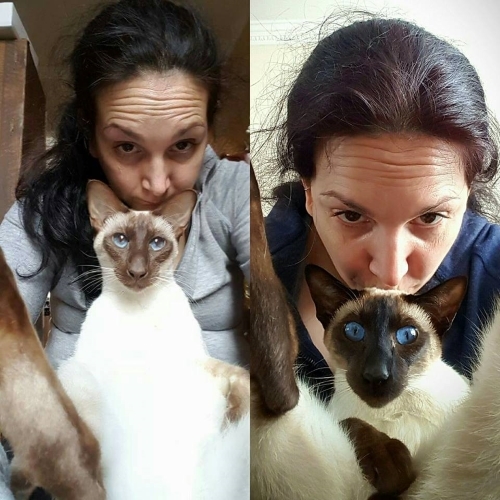 I was an early member of Jo's own Facebook group, Meezer McLocks, in which she shared photos and videos of her life with her five cats - Meezers blue point Tao, chocolate point Ming, seal point Fu, and two newer arrivals, Oriental kittens Wilbur and Morpheus, affectionately nicknamed Wilby and Morphie. Jo occasionally popped into our Facebook page too. Looking back I was surprised to see how many times she had visited throughout the years and shared her photos, including those below of her with Ming and Fu. The photos and videos shared by Jo in her group were real, and gentle, and funny and loved by absolutely everyone. Jo was also one of the kindest people I've ever known - she was always ready with a listening ear or a supportive message. This became more and more apparent as time went on after her death, with group members all sharing their own particular memories of her. Jo crocheted the most gorgeous cat blankets ("Blankets of Fu", as she called them) and knitted cat baskets ("Woven by Wilby"!) and generously sent them out all over the world, many of them as gifts. There was an enormous outpouring of grief from her group members and concern for her friends and family, and concern both about what would happen to her lovely group, and to her five cats. I'm happy to say that Jo's friends and family have taken over Meezer McLocks and are running it in Jo's memory. If you're on Facebook and not already in the group I'd encourage you to join it - it's a lovely group with much fun and laughter, and is helping to raise money for Siamese Rescue around the world. As for Jo's cats - they're now either with her family, or with friends. Morpheus has found a whole new family where he's settled in well; Ming and Fu are still together, and Jo's parents have kept Wilbur and Tao. 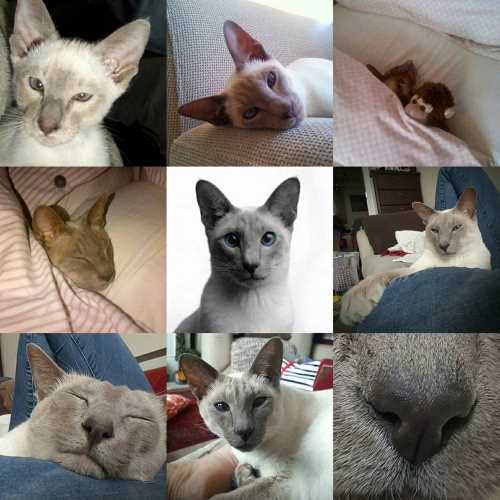 Here's a collage of photos of Tao, the eldest of the five, which Jo posted on our Facebook page in honour of Tao's birthday last year. Farewell and rest in peace, Jo. You'll always be very sadly missed. Jo's cats were very lucky to find wonderful, loving new homes with Jo's friends and family. But have you ever wondered, or made provision for, what would happen in the event of your death? It's not something that many of us want to think about, but it could happen. The first and most important thing, of course, is to make sure that someone in your family, or the executor or administrator of your will, knows how you want your cats to be cared for in the event of your death. Is there a family member who'd be prepared to take them? A close friend or a neighbor? If not, then what? I can't cover all the possibilities available around the world, but what I can do is to tell you about a few options we have here in the UK so that you can look around to see if something similar exists in your area. These are national societies but in larger countries anything like this would probably be more local so you'll need to search your own region. 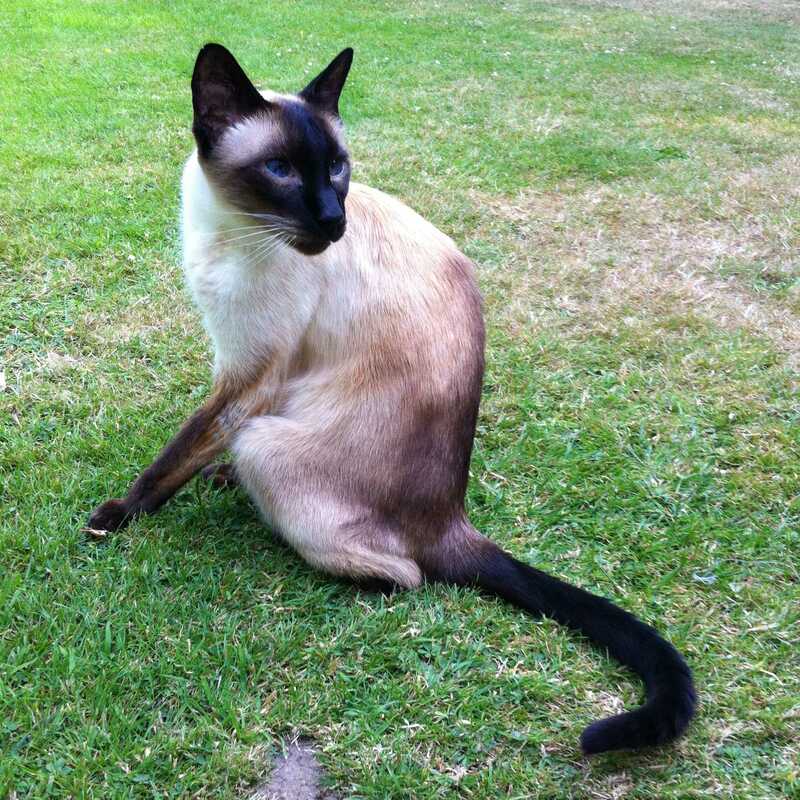 Is there a dedicated Siamese Rescue somewhere near you? 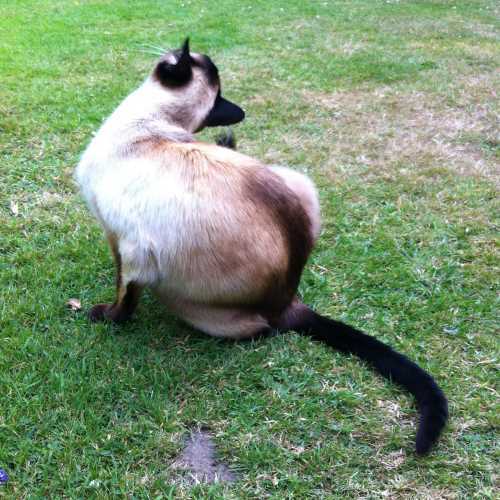 For example, the Siamese Cat Club Welfare Trust here in the UK will take your cats after you die, and re-home them with Siamese-loving owners who are used to Siamese cats and their ways. Having got Bandit from them, I know that they go to a lot of trouble to find suitable homes for the cats in their care, and place them where they'll be happy. 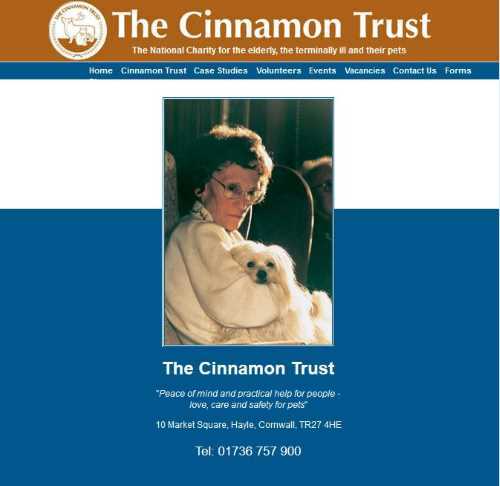 Another possibility we have here is the Cinnamon Trust, which among other services for the elderly or incapacitated will provide long-term care for pets whose owners have died, or moved into residential care in homes that don't take pets. I've also read about one rescue that specifically provides a home for OAPs (Old Age Pussycats) - senior cats who for one reason or another have nowhere else to go! So - do some research, see what you can find in your area, or nominate one or more family members or friends who'd be prepared to love and cherish your cats if you were no longer able to do so. And if you've already found anything like this near you that you'd like to share, I'd love to hear about it. I said above that I'd needed to do some work on this website to keep both the website and the data it collects secure. This section isn't about Siamese cats, so you can skip it if you wish, but you might like to know what we've been up to. The first project was to move the site from an 'http' web address to an 'https' web address, which has the effect of making the site more secure - you can now see a little green 'lock' in our address bar, denoting a secure site, as shown below. The second, more time-consuming process was to make the site compliant with new privacy laws in the European Union - the General Data Protection Regulation, or GDPR. This principally affects data collected from EU citizens but has the happy effect of making things safer for everyone, so you can be sure that any details you share with us - email addresses used to send you this newsletter, or to reply to messages you send, will be safely stored and deleted once no longer necessary. Sir Boo (!!!) 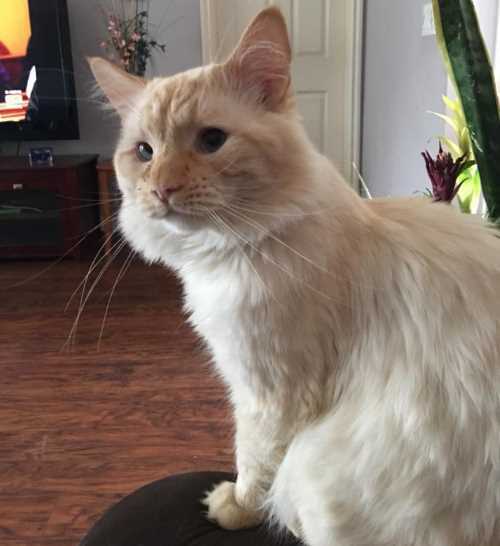 was found as a kitten three years ago this week, and a most delightful kitten he was too, as you'll see in the story his owner wrote about him here on our site at the time. Congratulations to Javier and especially to Sir Boo!!! on his third 'Gotcha Day' anniversary. Long may he stay healthy, happy, and lucky. That's all from us for now. We'll be back (fingers crossed and God willing!) at the end of June.